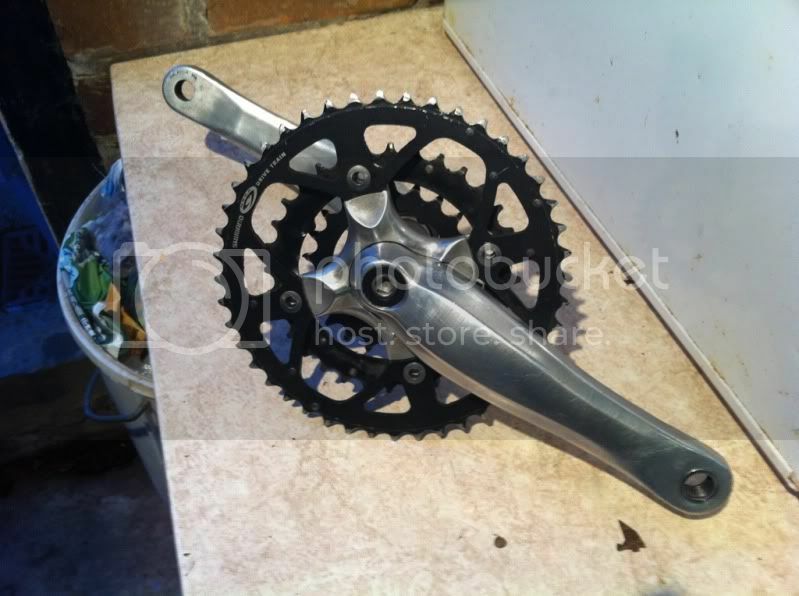 Polished Shimano octalink crank and bottom bracket. Bottom bracket used on one ride, so about 25 miles. Basically as new. Cranks are a nice polished finish and are very tough! Splines are all in good condition. Shimano XT Chainrings are well used, but undamaged and work fine.